Tri-Weekly Round-Up May 24, 2015! 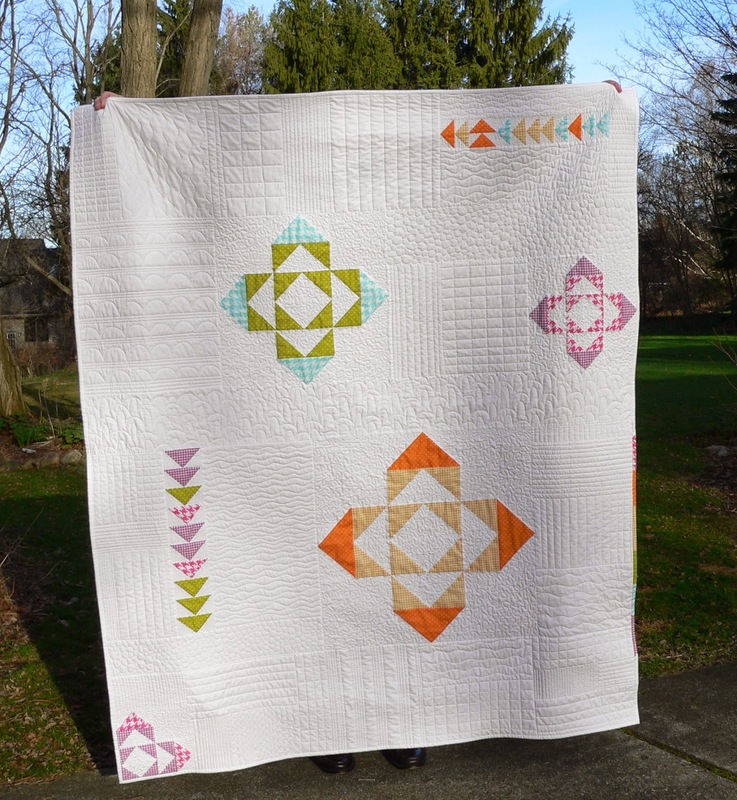 She's also been revealing quilts from her book on her blog, so head on over to see those! Debbie's working on curved piecing. • Guild members elected Debbie Grifka as our new President and Amy Diebold as our new Vice President of Programs. • Make a nametag for the next guild meeting! We are all going to start wearing nametags so we can get to know each other a little bit better. Nametags will be kept in a bin and brought to each meeting so we don’t forget to bring them with us. Jenny Draeger was nice enough to create a pinterest board full of inspiration for you, check it out here! 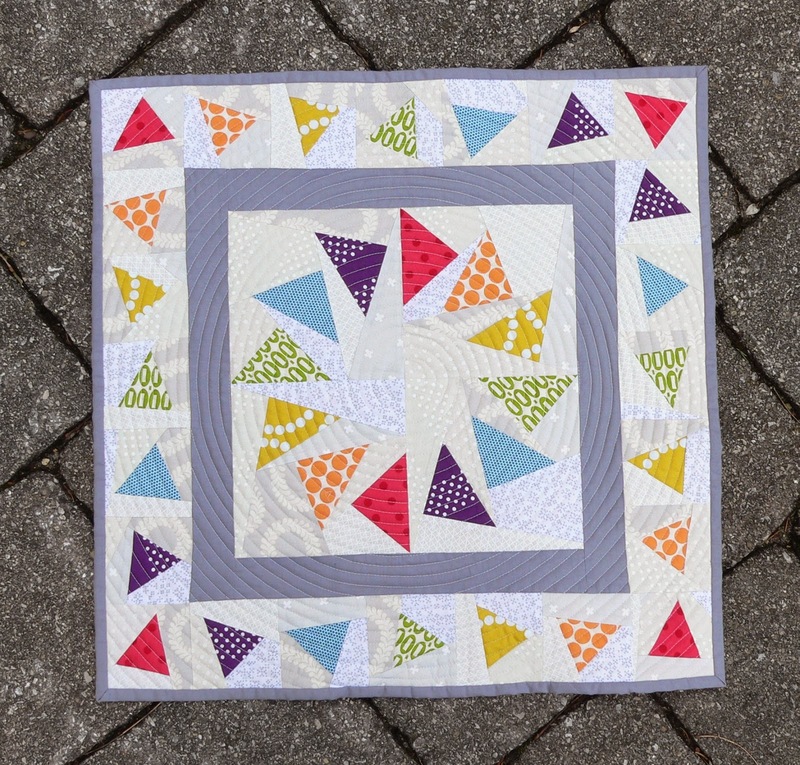 • If you’ve made a quilt for market, they MUST be given to Brenda before May 11th. Bring them to Pink Castle Fabrics. 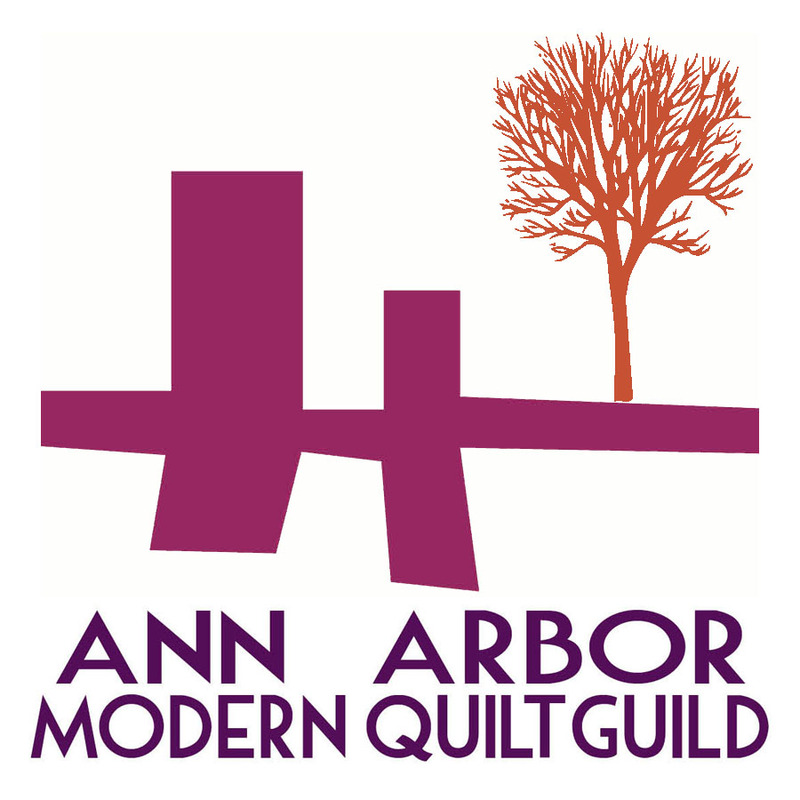 • The guild challenge quilts will be presented at the July meeting. • If anyone is interested in taking on the retreat coordinator position, contact Debbie. • After a guild vote, we have decided that the proceeds of our QuiltCon charity quilts will be going to both the Ozone house and Food Gatherers (both local organizations). These funds will be raised through an eBay charity auction. Stay tuned for more details about the auction itself. • Weekend sew-ins work best for a majority of guild members. We are still looking for a location. Jackie Mills suggested Saline library, but pointed out that they have limited weekend hours. If you have any ideas or leads, talk to our VP of Programs, Amy Diebold. • If you need a membership card, talk to Jackie Mills. • Pam L. cut up different bundles for charity quilts. If you want one, get in touch with her. The facebook group will be an excellent way to discuss things like this. 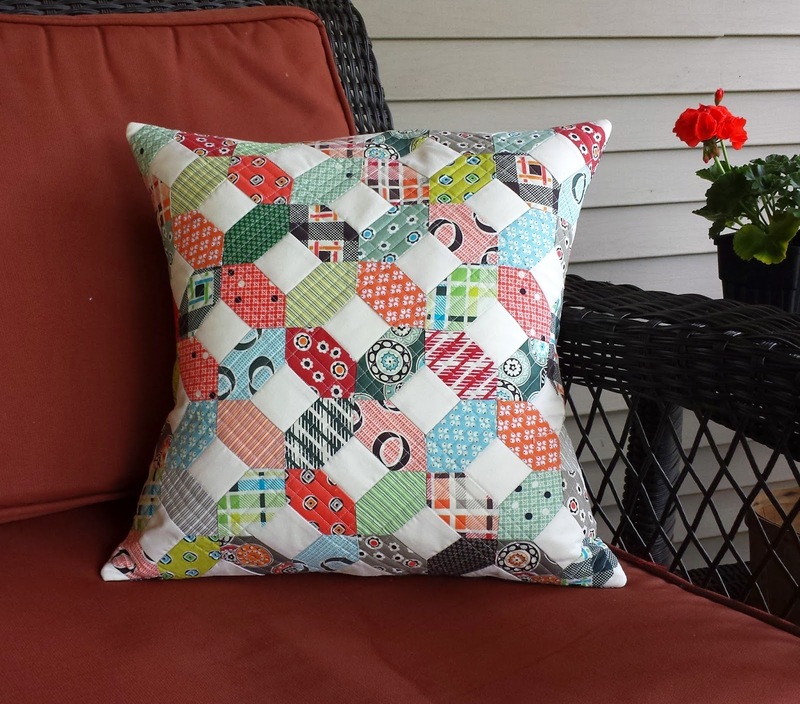 • Kathy shared Quilting Modern and Amish Patchwork at the meeting. Both books are available to check out from the guild’s library! 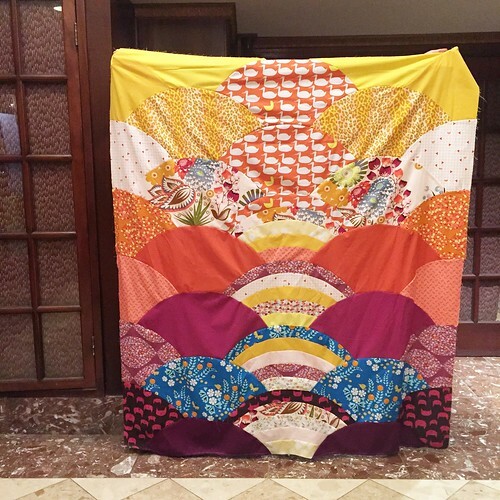 We got to see some of Giedra's awesome quilts and wall hangings at the meeting! In May, we will shine the light on Ann Dilcher. Kathy gave an incredibly informative lesson on different types of batting. Here is the info sheet she created--print it out and put it in your sewing room! You'll be happy you did. 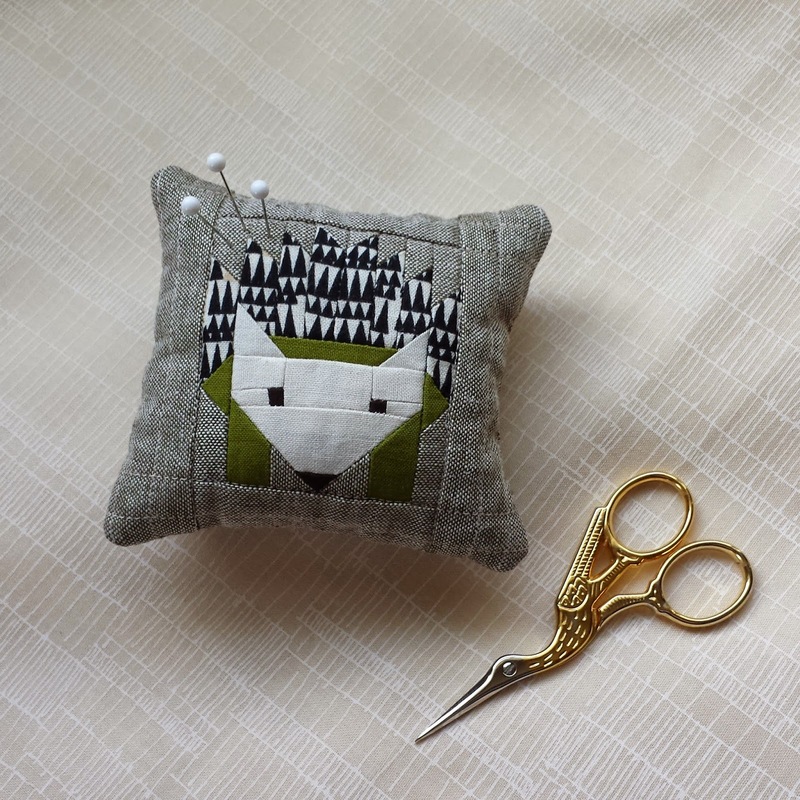 We had a very successful pincushion swap! Round Robin quilts were shown off. 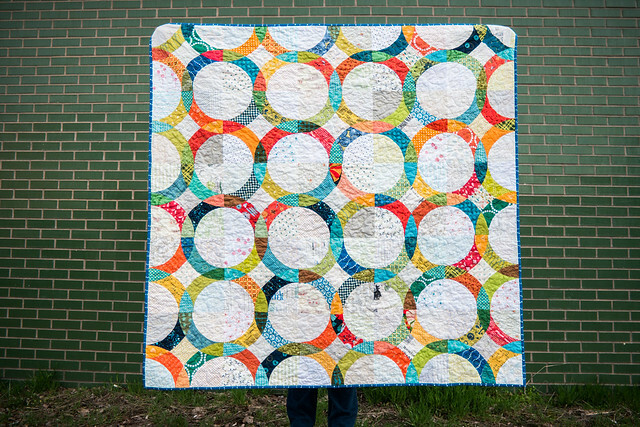 Show and Share included many projects that our guild members made for and at Sewtopia. We also had lots of quilt finishes this month! I only managed to get a picture of Emily's quilt for her niece before my phone died. Oops. Hopefully we'll see more soon! Secondly, I suspect there are more bloggers in the guild than are on my list, so email Hayley to get on the list, please! 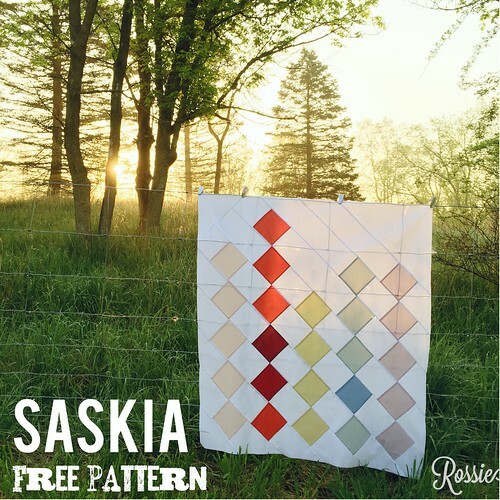 A number of members went to Sewtopia: Rossie and Karen blogged about it. 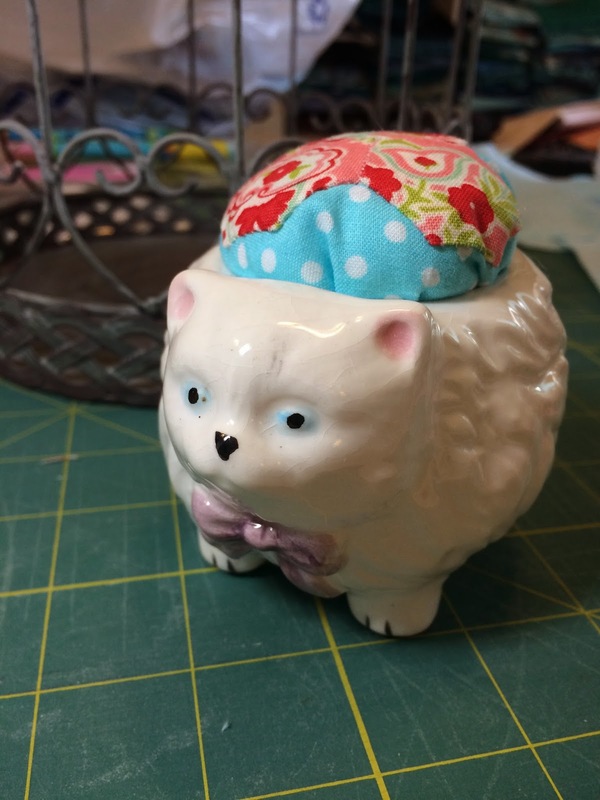 Karen has a post about swaps, what she made and what she got in three recent swaps. Here's the beautiful mini she made for the rainbow swap! 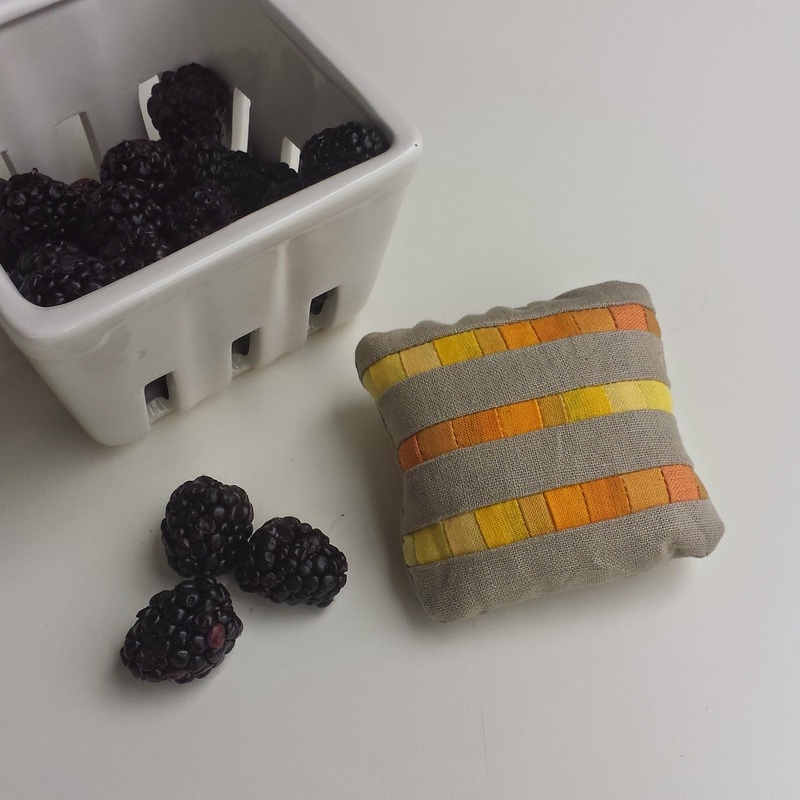 Lynn wrote a post about quilting, and a few things she's learned. 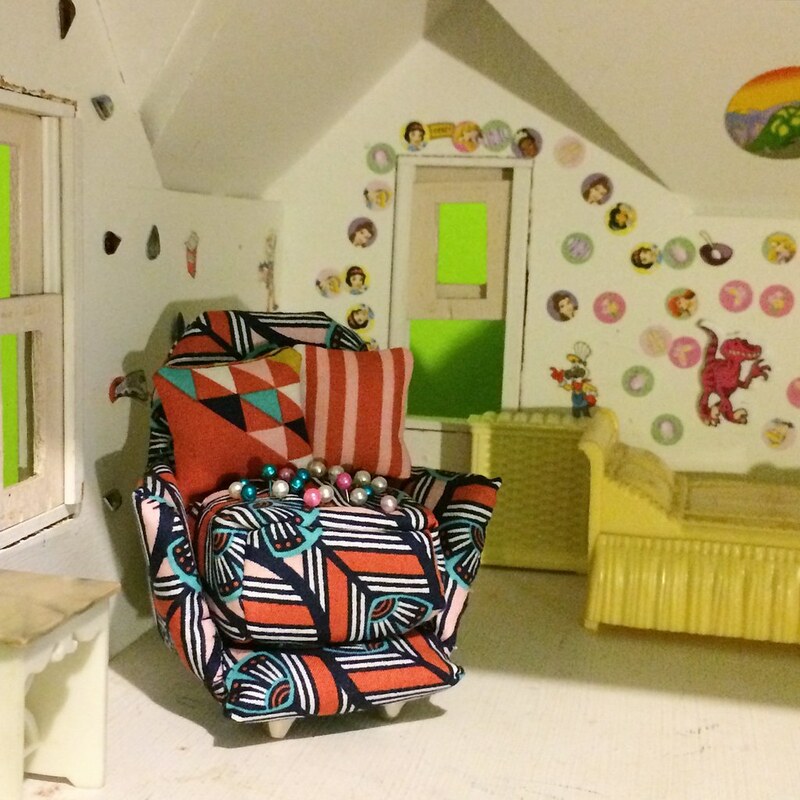 I wrote a post about some of my English Paper Piecing projects.